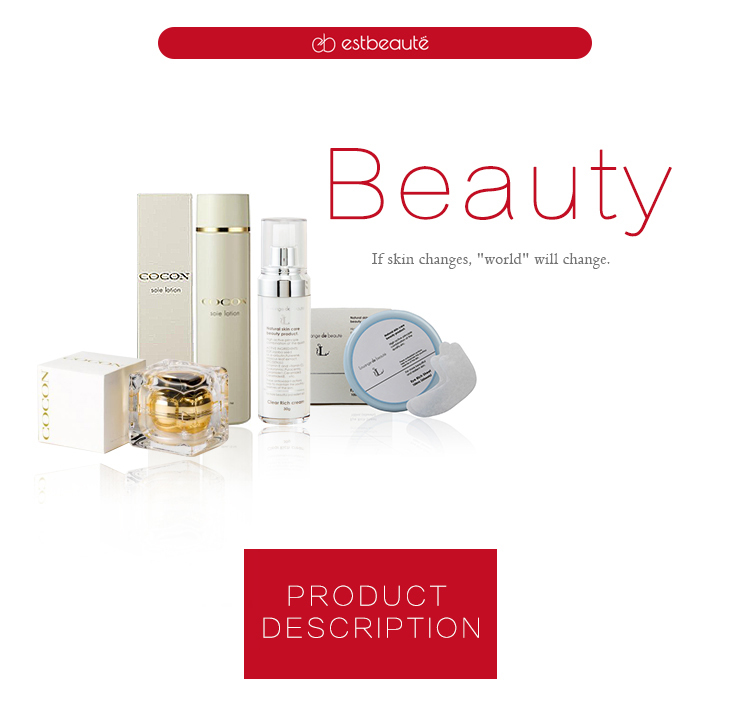 Cosmetic products with absolutely no skin-irritating ingredients, developed through intensive research into the workings of the skin cells. Silk fibroin contains 18 of the 20 amino acids found in the human body, including 9 amino acids that the body cannot synthesize on its own. With dry hands, take as much as you need in your hands and apply evenly over the entire face. After it has combined thoroughly with the makeup and dirt, wipe off with a damp sponge or rinse off. 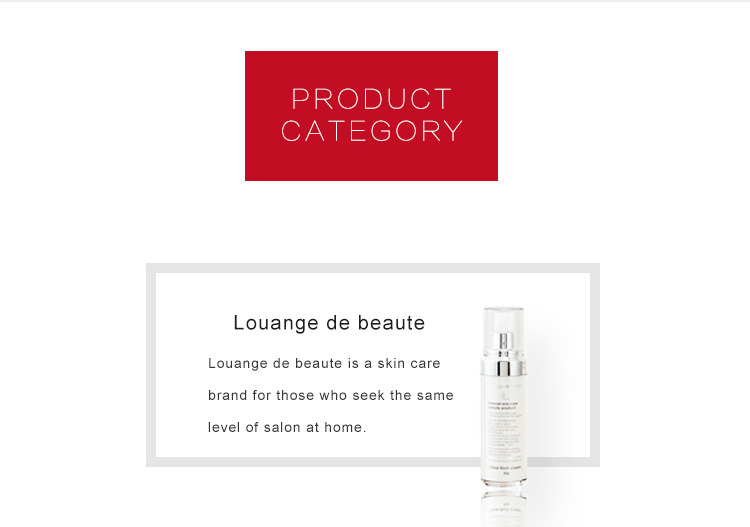 To improve the reliability of our products, we include a freshness seal on all products in the Louange de Beauté series. Removing this seal will cause the letters "VOID" to appear on the entirety of the box and acts as an anti-tampering device. By affixing this seal to each and every product that we ship, we have achieved to acquire trust from customers and realized them to use our products with peace of mind. Also, please be aware that we are unable to provide exchanges or refunds for products which have been opened. We thank you for your understanding in this matter and look forward to your continued patronage. 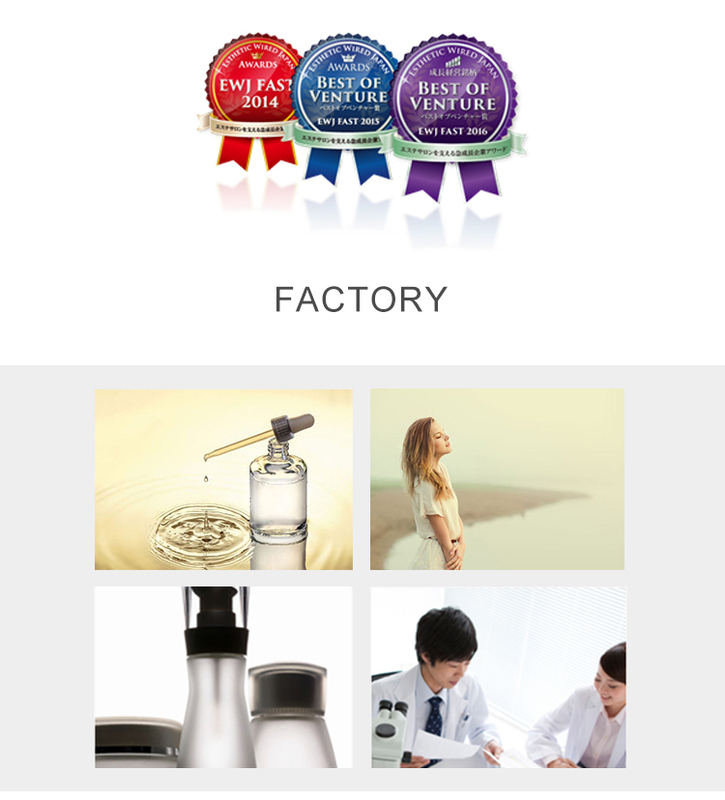 Our company was established as an integrated cosmetics maker, founded on salon management techniques cultivated during over thirty years of participation in the beauty industry as well as top flight cosmetic development know-how. For beauty salons across the country, we offer a diverse mix of high quality cosmetic items and beauty tools and for private customers we provide products with combined ideas of "health" and "beauty" such as prescription cosmetics which support more healthy skin. And with our OEM cosmetics, we exercise the most careful judgement when selecting the water we use as a base and with our manufacturing process which maintains the freshness of our active ingredients. Using our products without ever having to worry about the quality but realize certain effects —that's the spirit of what we make. As a partner of salons and as a company that can make a difference in the lives of people with skin trouble, we grow together with all of you. Please, put your faith in all of us here at Estlab. 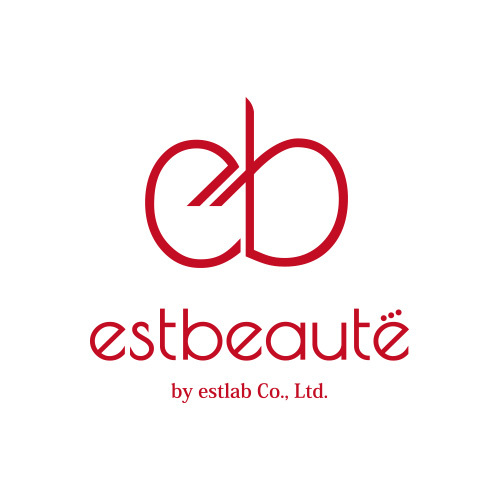 Esthetic Wired Japan Fast (EJW FAST) is an award for rapidly growing companies which provide support services for beauty parlors, and has been administered by Beauty and Healthcare News Incorporated since 2014. The prize has gained the attention of the Beauty industry and as benchmark for corporate growth and success. 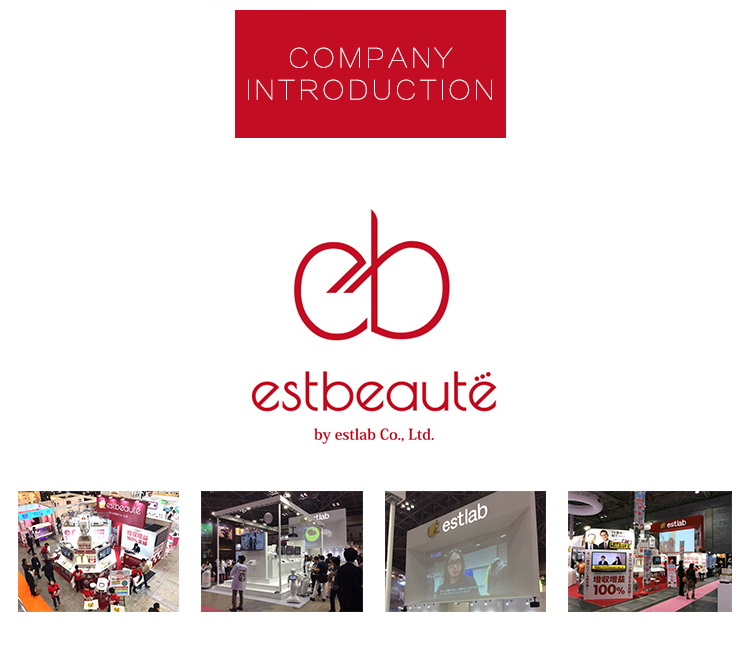 At Estlab, all the way from planning to manufacture and the distribution, we do everything in house. So we turned that know-how into helping others as an original equipment manufacturer (OEM). And through our oversees division, we import prescription cosmetics from abroad. In beauty salons we cater to aestheticians with our in house produced cosmetics, and allow them to offer services of a much higher standard than they could otherwise provide.